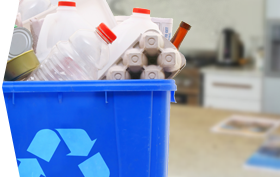 Sorting recycling can be a chore, but investing in a few dedicated cans can help you build the habit easily. 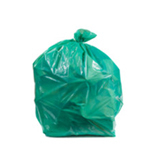 Color-coded bags make it a snap to toss your crumpled paper or empty soda bottle into the right can, and that’s one way our blue recycling bags can come in especially handy. 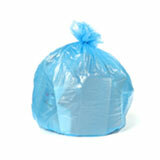 Blue recycling bags are also required by some municipalities, and finding suitable bags can sometimes be a challenge. 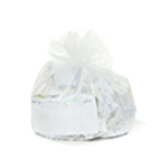 When you buy your recycling bags in bulk, you can be sure you’ll always have one on hand when you need it. 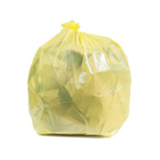 It’s also a great way to trim the budget without cutting down on quality, since every one of our bags is covered by our 100% satisfaction guarantee. 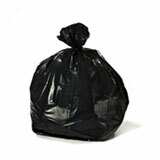 If you have any questions about which recycling bags are best for your needs, just get in touch. We’re always more than happy to walk you through the options. 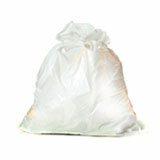 Recycling bags can be made of different materials. 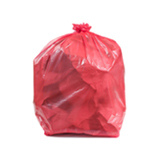 Low density recycling bags are made from thicker plastic, which resists punctures and splits. 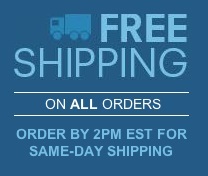 This is ideal if you’re recycling sharp, pointy, or heavy recyclables like glass and cans. 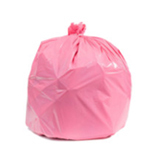 High density recycling bags use less plastic in the manufacturing process, so they are lightweight and perfect for paper or plastic recyclables. The thickness of low-density plastic is measured in mils, while high-density plastic uses microns. 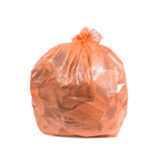 In both cases, the higher the number, the thicker and tougher the bag.